As the organizer of probably the two most important events of the Swiss electronic scene, Headfun have been specializing in communication strategies and original concept aiming to promote musical and pluridisciplinary projects. They have built strength out of it, equally in terms of media relations as on the field or on the web but also in terms of digital and paper communication supports. 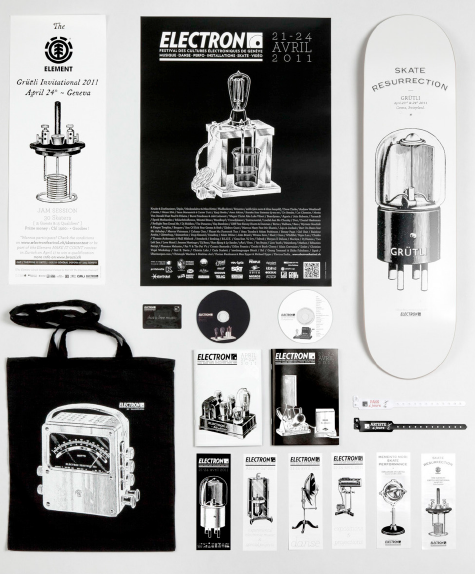 Often cited as a reference, Headfun has been rewarded many times for its innovative communication concepts, especially for Electron Festival, which was crowned of “Prix des Créatifs Romands” in 2011 (Categories «Campagne 360°») and in 2014 (categories «Affichage Culturel» and «Outdoor Guerilla»), also as «Gold Award in Design» and of «Bronze Award in Creative Media» during the “ADC Switzerland in 2015. For your events to be in the centre of musical and culture news, don’t hesitate to contact us.